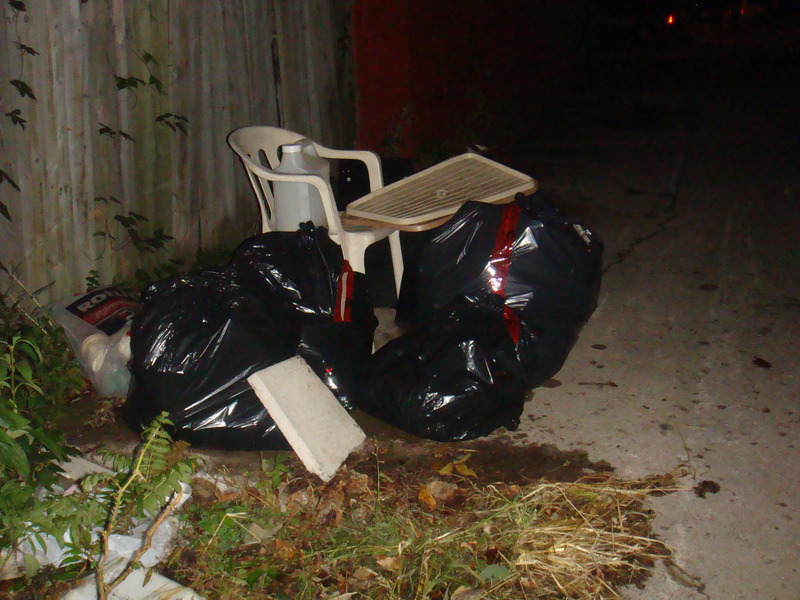 I started “Things I find in the garbage” back in March 2012 – around two and half years ago. A good friend of mine suggested the idea to me and I quickly took to the world of blogging. I posted fairly prolifically in those early days; for example, in April of 2012 I wrote 27 posts! The blog has definitely changed over time. I think of my early blog posts as charming and a bit naive. I wrote awkward, vague post titles like “Some stuff from yesterday and from before” and “Some of the things from yesterday,” didn’t know about white balance adjustments in photography, and didn’t do much on the editing front. However, in many ways these early posts were a more accurate description of what you see on the streets on a day-to-day basis. It wasn’t my “job” back then, my goal was just to document what I happened to see. My posts these days without a doubt contain a lot more treasures. I’ve gotten a lot better at pickin’ since I started writing the blog, and especially since I began doing it as a full-time job in February 2013. I now find amazing stuff on a pretty regular basis, while the past was a bit more boom and bust. A side effect of this is that I glaze over the more everyday stuff that I would have mentioned – perhaps at length – earlier in my blogging days. My blog in its current form is a better description of the totally insane things that are being thrown out on a day-to-day basis, as well as the potential for profit that comes with finding them. Other aspects of the blog have also improved greatly, or at least have become more professional. I write better titles and take better pictures. I have a facebook page and a blog-specific email address. I spend a lot more time editing, which has greatly improved my writing skills. I’m proud of what the blog has become. Perhaps the biggest change though is the focus on selling. 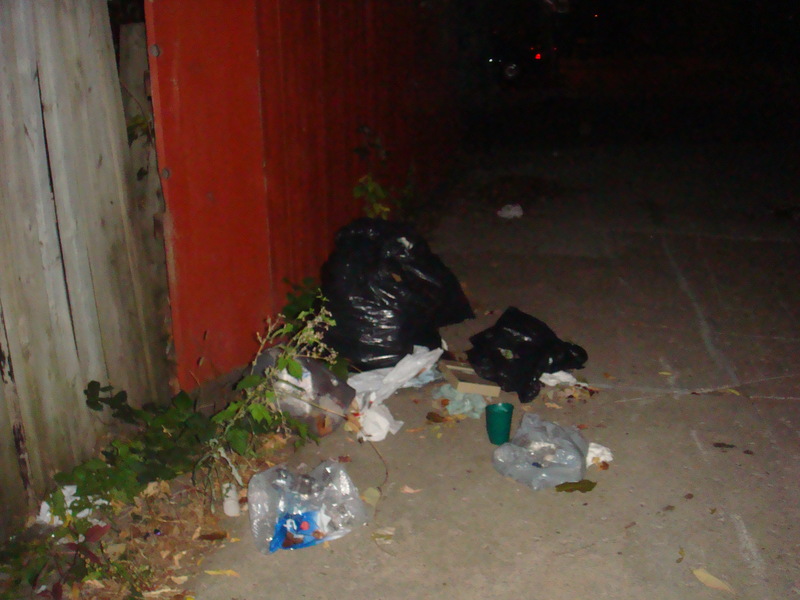 In my early posts garbage picking was a hobby – now it’s a profession. Noting my weekly profits has become a consistent part of the blog, as is mentioning my newest eBay listings. By doing this I hope to illustrate how selling garbage for a living works (or at least my version of it). I also hope to encourage people to do the same, even if only part time. There are definite economic, social, and environmental benefits to this line of work. Not everyone can devote themselves to the garbage picking as I do. 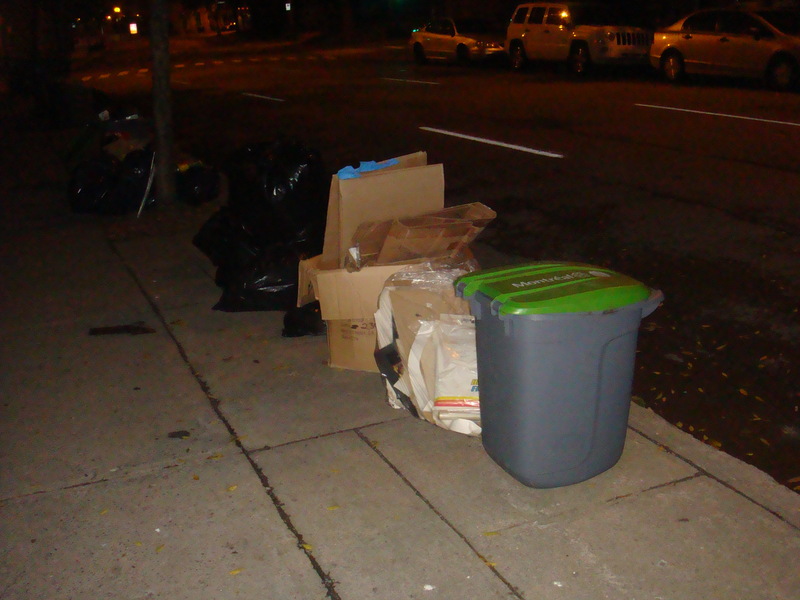 However, more people keeping their eyes on the curb, aware of the potential benefits (and risks) of doing so, will help to reduce waste, lighten our effect on the environment, and give people another potential source of income. As for the future? Who knows, but I don’t plan on quitting any time soon. I think I have a good thing going here, and I’m pretty sure “Things I find in the garbage” is the only frequently updated English-language blog of its kind on the net. That in itself makes it a valuable resource. I now have around 2700 followers (another big difference from the early days!) and have been featured or mentioned in newspaper articles, radio segments, the local news, and on WordPress’ “Freshly Pressed” page. 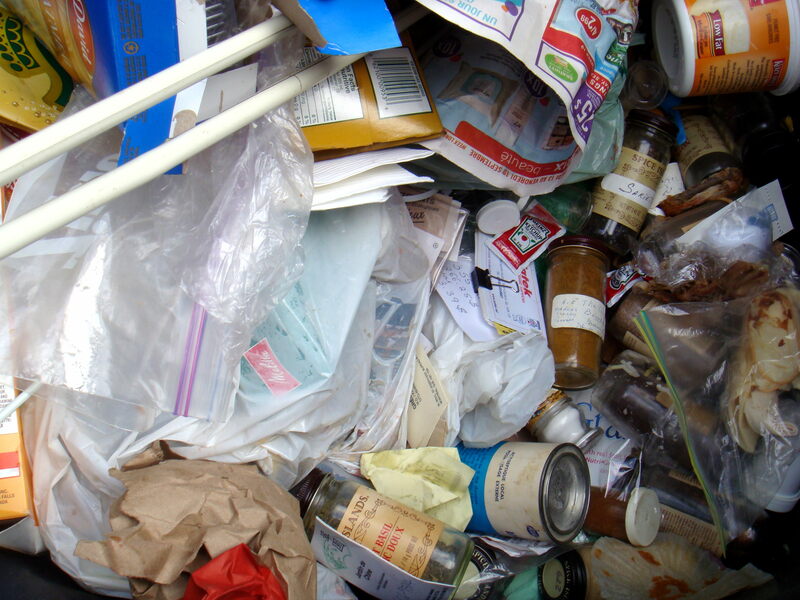 Waste-related topics seem to be getting popular these days, so I won’t be surprised if the best is yet to come. Let’s get to the garbage! Last week was a bit quiet, partly due to taking Thursday and Friday off for yard sales (more on that later). St Henri, however, was once again productive on Sunday night. These bags were at the same spot where I found the 25c bills and US Navy WWII bracelet last week. 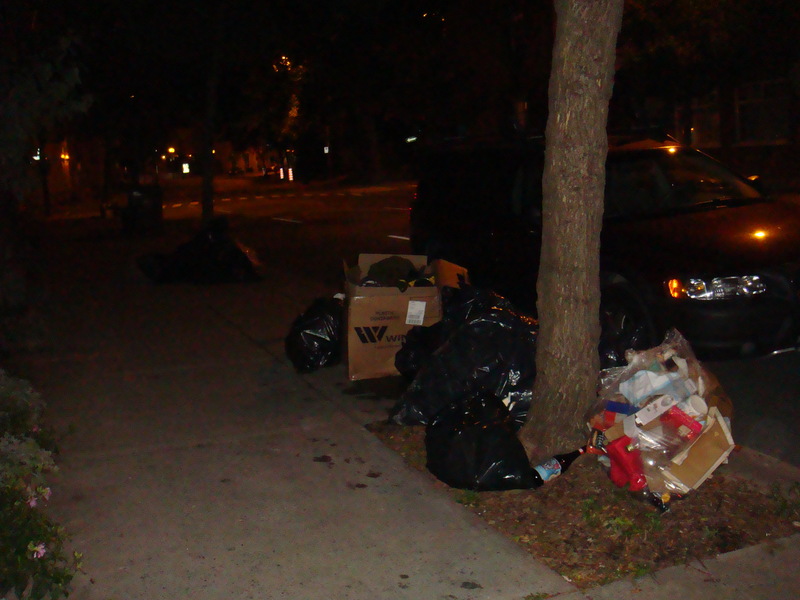 Not far away was another, larger pile that clearly belonged to the same place. I don’t remember seeing anything here last week and I find it a bit odd that things were placed in two distinct locations. Inside the bags was a lot of neat and sometimes useful stuff, including: a set of three vintage “Made in Canada” casserole dishes (one was broken); an old teapot by Stadler of Staffordshire England; a stainless steel coffee pot; two aluminium mugs; a bunch of miscellaneous kitchen tools; two vintage razors (that should make me a bit of coin on eBay); old tins, containers, and bottles; a framed poem by Ogden Nash; an ancient insulin syringe in its original box; and a collectible Old Spice / Shulton shaving mug. My favourite piece of this bunch might be the last: a 1950s clip made as an advertisement for Tetrafume Weevil Killer. 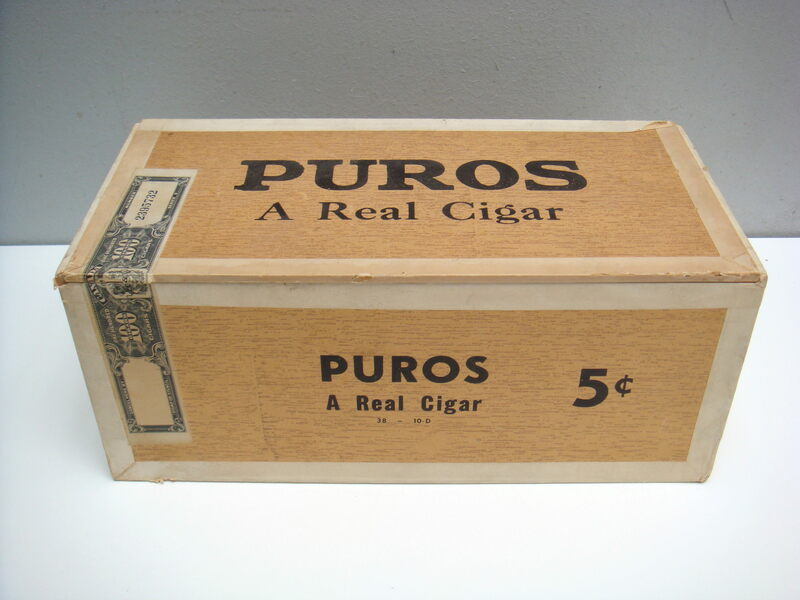 Some of these items were stashed away in two old cigar boxes. Neither are worth much, but they’re still cool and great for storing small items. 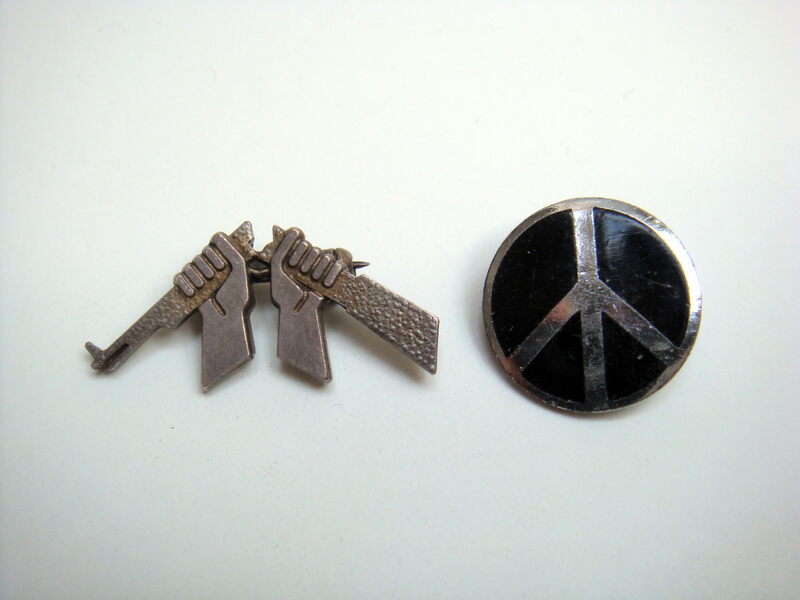 Whoever owned these items had an interest in the peace movement. I found a pin for a disarmament rally here last week and this time around these two popped up. The one on the left is particularly cool – the symbol is quite aggressive! I saw this old canvas bag and instantly recognized a number that was printed on it. It’s the same as the one etched onto the US Navy bracelet from last week, meaning that this bag was used in the Second World War. I also found a piece that reddit helped me identify as a WWII ribbon pin. 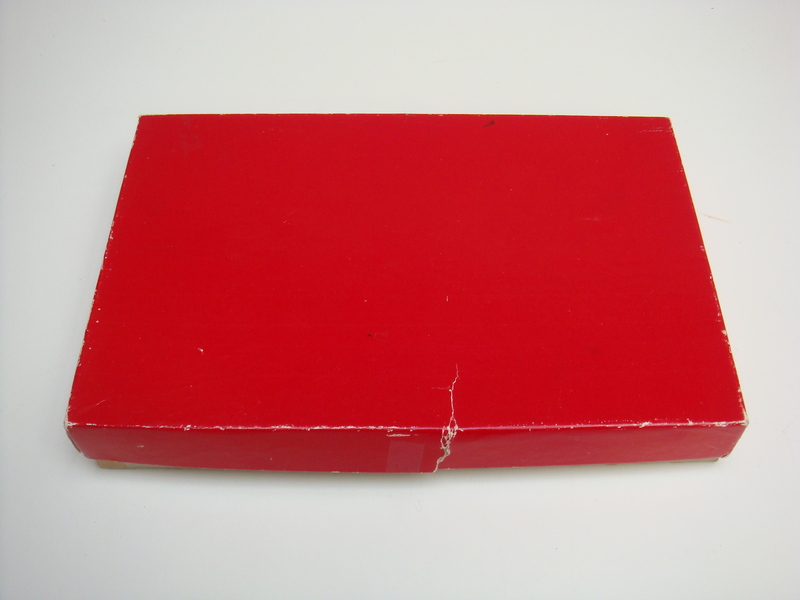 This little red box was filled with old photos, letters, telegrams and other ephemera. Some of the letters and telegrams are from the war years. I haven’t looked at it all much yet, but there could be some interesting bits of history in here. I also found four pages full of slides. They seem to be interesting and very well shot. I’m most excited by a number of cool shots of Expo 67 – the Expo 67 Facebook group is always hungry for new photos. 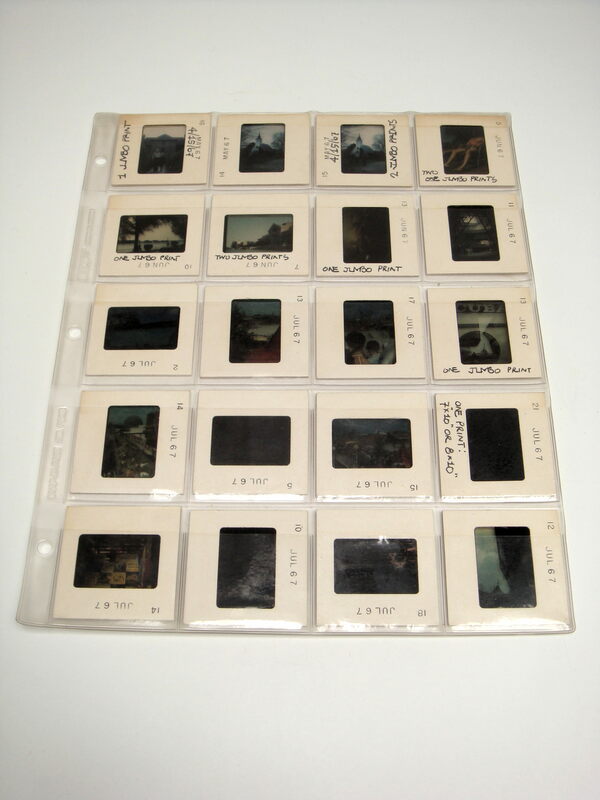 I’ll definitely share some with you when I get them digitized, which will hopefully occur in the next few weeks. Until then, I offer a camera-shot preview below. All in all a great haul! I’ll definitely be back in St Henri to check on this same place next week. I found some good stuff in the Plateau last night but that’ll have to wait until my next post. Last week was exceptionally warm and I decided to take advantage by having an end-of-season yard sale bonanza. I teamed up with several different friends and held sales on Thursday, Friday, Saturday, and Sunday. The most successful was Sunday on Duluth and Coloniale. I made almost 350$ and obviously got rid of a tonne of stuff! I apologize to my readers for not mentioning any of this on my blog or Facebook page. Since being shut down by the city in two consecutive yard sales earlier in the year I haven’t felt confident in saying that I’ll be at a specific place at a specific time. Now that I seem to have found a few different good locations, however, I think I’ll feel better about that. -Yard sales: 124.50 + 30.75 + 119.25 + 347 = 621.50$. An amazing total that makes up for my relative lack of yard sales so far this year. I unloaded a lot of stuff, which opens up more space for the new and helps me stay organized. My two biggest sales were of 60$ and 80$, both of which came on Sunday. The former was almost entirely taken from my boxes of little baubles while the latter was a more diverse portfolio of random stuff. 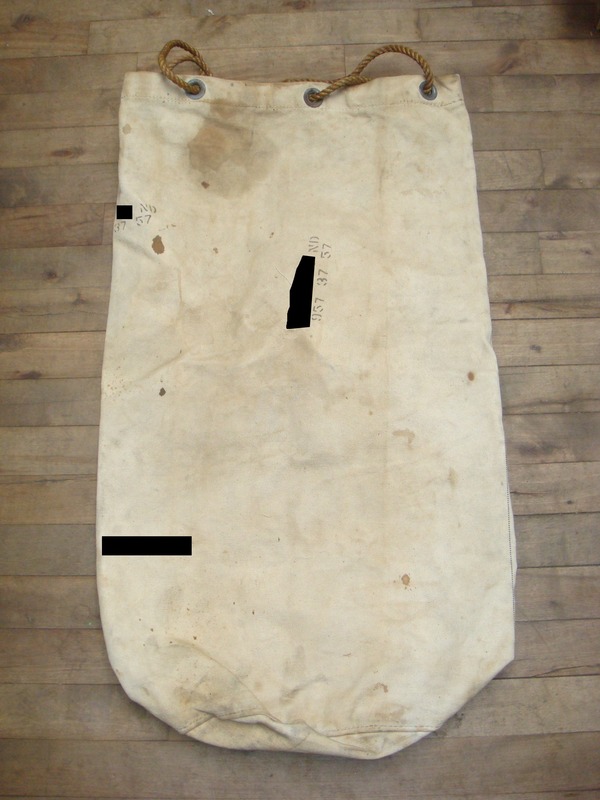 -Vintage Canadian Red Ensign flags: on eBay for 305.50$. I had listed these individually but one buyer bought them both. This is more than I had originally expected to get for them and is obviously a nice sale. Found in Mount Royal in late July. -1950s Madrid Bullfighting poster: to a reader for 25$. Found in Mount Royal a few weeks back. -Miniature Japanese masks: on eBay for 73.50$. Another nice, quick sale. Found in Mount Royal at the same place as the masks. Total: 1030.25$, 4226.75$ since May 18 (when I started counting). An amazing, record setting week. I don’t expect to crack the 1000$ mark any time soon, that’s for sure. Before this I was averaging around 700 a month. Obviously this won’t keep up, but the money I made this week will help me stay afloat for quite some time. It’s sort of funny that all my non yard-sale sales came from Mount Royal. If you have a question, see anything that you’re interesting in buying, or to just want to say hello feel free to email me at thingsifindinthegarbage@gmail.com. I also enjoy comments! I’ve been pretty busy this past week getting things up on eBay and Etsy. I listed twenty-two items since my last post and have for the first time eclipsed the 100 listings mark on eBay. I’m pretty proud of that! Two of the new listings have already sold – see which ones below. Listing can be a time-consuming process. However, once you get into a rhythm it speeds up a fair bit. I start by trying to answer two questions: is this item worth listing, and if so how much should I list it for? This takes some research, much of which is done through eBay’s completed listings search. I then photograph the item and fill out the listing form. Later when the item sells I have to ship it out – this is usually the last stage unless someone wants to do a return. I expect that the Christmas season will be productive so my goal is to get all (or at least most) of my stuff listed before then. I still have a lot of work to do, especially when it comes to jewellery. I have a fair bit of it and some has been sitting around for over a year! The main reason for the delay is that I find photographing jewellery especially challenging and a little bit intimidating. I personally find it fairly difficult, especially for larger pieces like necklaces. Lets get to last week’s garbage. 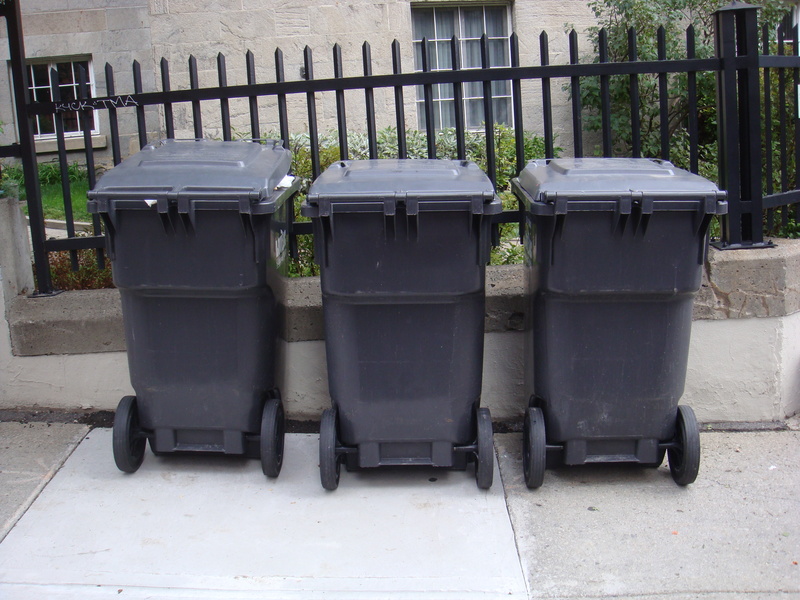 I came across these garbage bins just off Sherbrooke last Monday. Inside one of the bins was a bunch of food – it looked as if someone threw out everything in the pantry. I salvaged a bunch of canned food, a microbrew beer (I drank this already and it was delicious! ), a nice metal box that my room-mate bought off me for 2$, and an old collectible Guerlain perfume “bee” bottle (which I listed on eBay). At one point I unexpectedly spotted something that I recognized to be tarnished sterling silver. It looked a bit like a thimble and inside was some kind of resin. I consulted /r/whatisthisthing on reddit and we figured out that what was inside was frankincense and that the silver piece was likely an incomplete spice box. I wish I could go back and dig around a bit more for the other piece, though I did look pretty thoroughly. 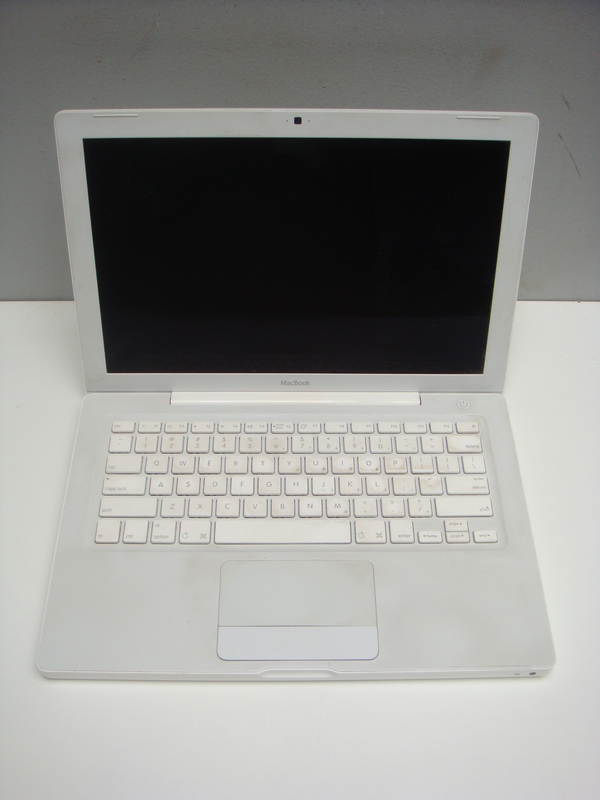 My run through Mount Royal on Wednesday was relatively dry, though I did find this MacBook at the bottom of a garbage can. I took it knowing it was worth money even just for parts. I was also optimistic that it might work – the battery was clearly bulging and busted but otherwise the machine looked pretty clean. It also happened to be in front of a house for sale, and people often toss good stuff when they’re moving. I was able to test it because a friend had the same model of laptop. It works! I ordered a power cable and battery on eBay so I should be able to get it up and running soon. If everything works according to plan I’ll use this laptop to do some work away from home. I think it’ll be a nice change of pace to be able to write a blog post from a coffee shop, for example. It’s a bit older (2007) and isn’t super fast but it should do well in that role. If I were to buy a similar laptop it would have cost around 200$ – the cord and battery together cost about 55$. Last week was otherwise pretty dry. This week got off to a nice start though thanks to St Henri, which is suddenly (at least for the moment) my most productive neighbourhood. I went back to the place where I found the medal last week and found more good tools and art supplies. I’m most happy about finding the measuring tape as I needed to get one of my own. My best finds though came from this pile not far from where I found the Muhlstock painting. Inside the bags was a bunch of interesting stuff, a lot of which was stored in old strawberry and shoe boxes. 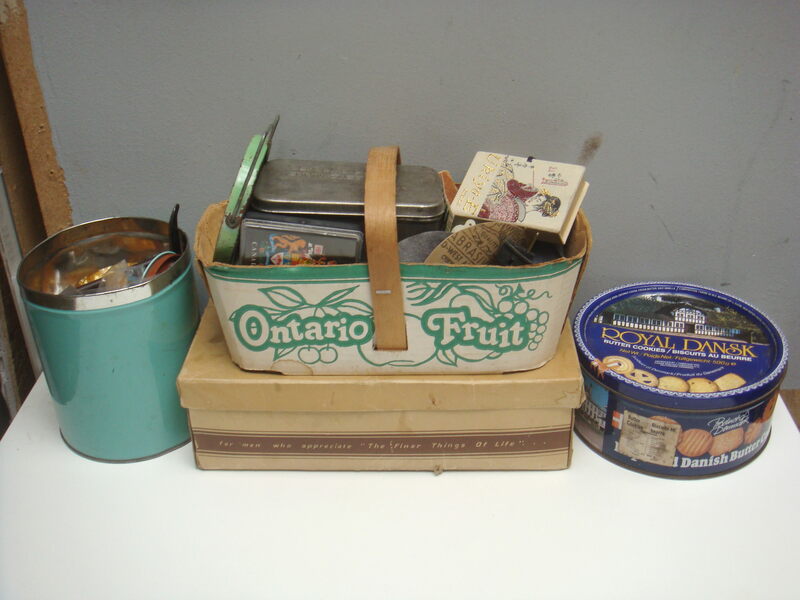 I saved some tools, old tins, a pin from a 1978 nuclear disarmament rally in New York City, three nice metal coasters (two of which appear hand-made), and a little metal container containing an old sewing kit (which was made to promote Lydia E. Pinkham’s vegetable compound). This was an interesting find that /r/whatisthisthing again helped me identify. It’s a very heavy (55 gram) bracelet that’s hallmarked as sterling silver. 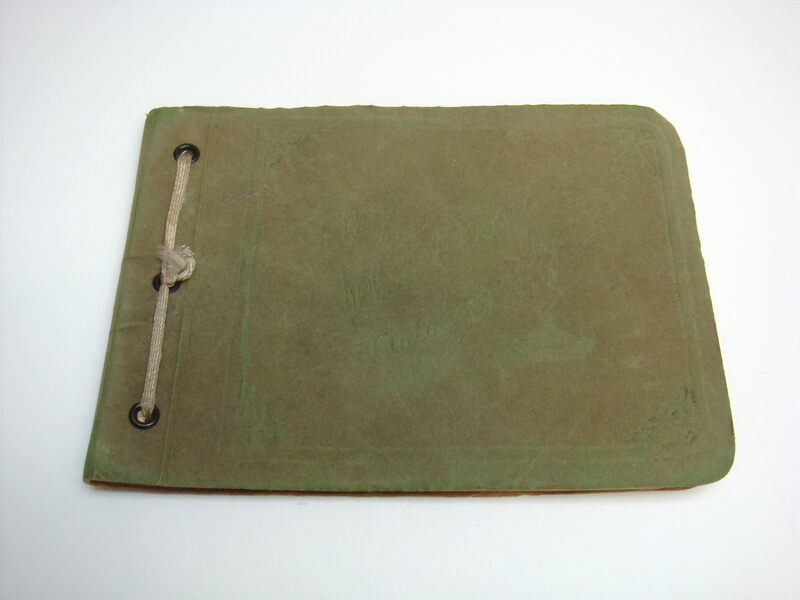 A person’s name is monogrammed on the front and on the back a series of numbers (957 37 57). I found it unusual partly because I’ve never seen a sterling silver piece quite as bulky and partly because of the odd set of numbers on the back. 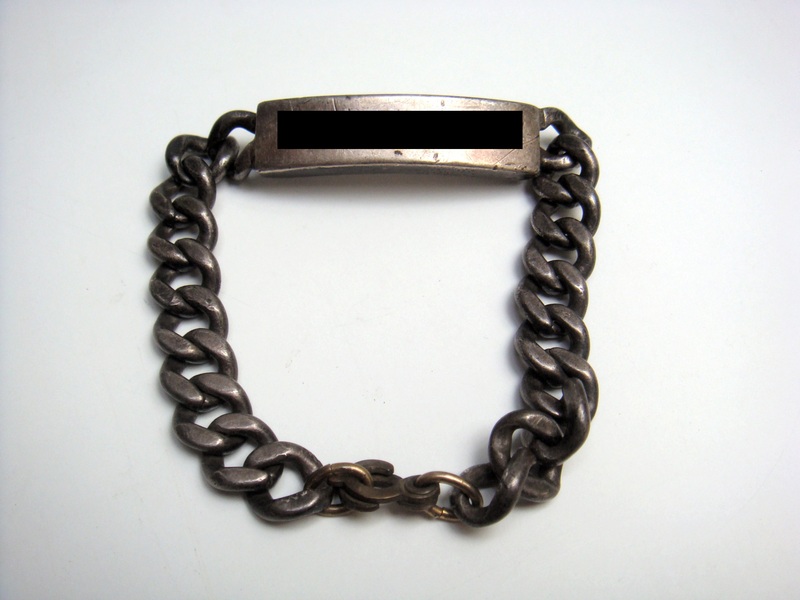 It turns out that this is a WWII-era United States Navy ID bracelet. The giveaway turned out to be the number sequence which is consistent with the US Navy service numbers of the day. It also looks a lot like this one currently on eBay. A pretty cool find, and one that should make me a bit of money. 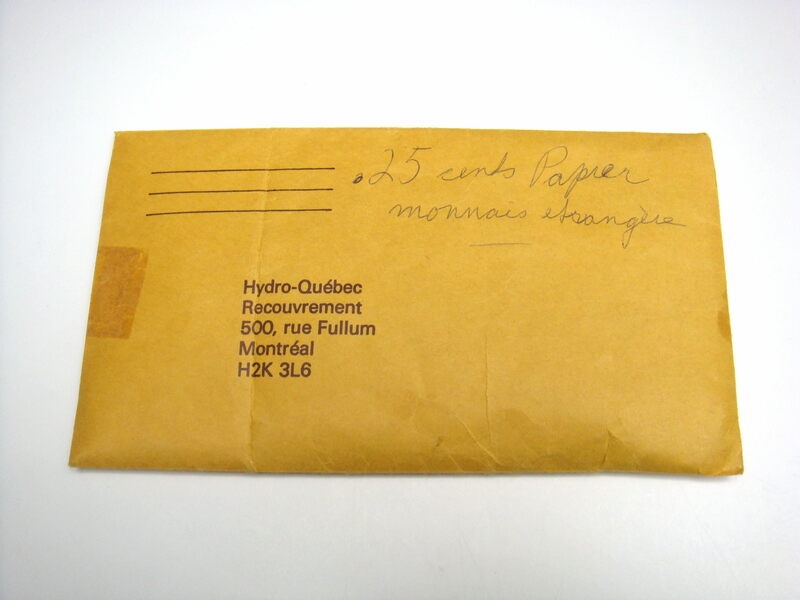 This old Hydro Quebec envelope provided the biggest surprise, however. Hidden inside was five old coins and 2.50$ in bills. You read that right! 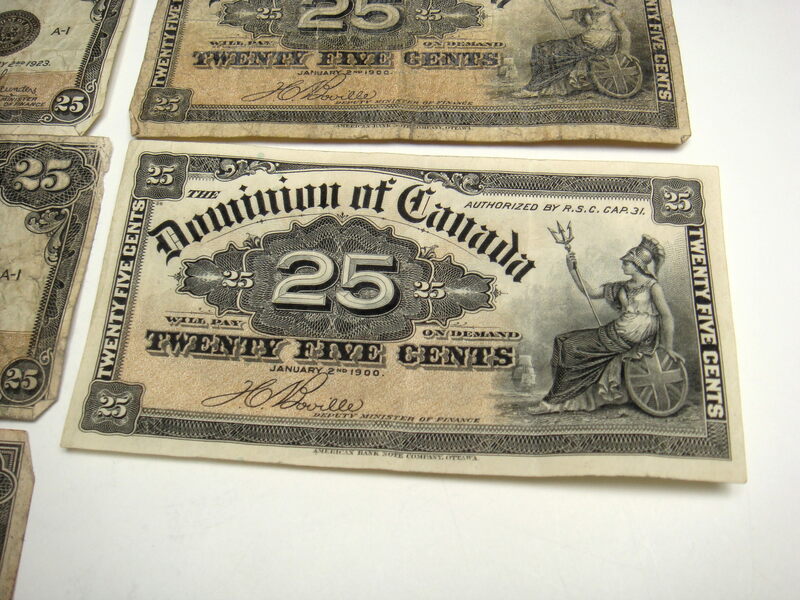 Apparently Canada issued 25 cent bills in the years 1870, 1900, and 1923. There was a reason for this that wikipedia doesn’t explain too well – if you could better tell us the story let us know in the comments! There are 12 bills in total, 10 of which are the 1923 version and 2 of which are the 1900 version. 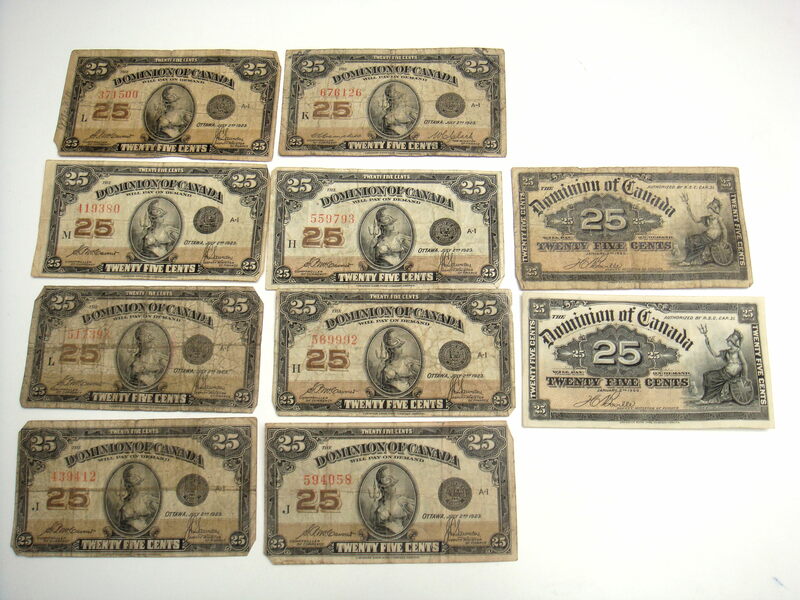 Most are quite well circulated and thus worth around 5$ a piece, give or take a dollar based on the specific condition. One note – a 1900 issue – is in very good condition and is worth around 25$. The coins are pretty cool too, if not particularly valuable. 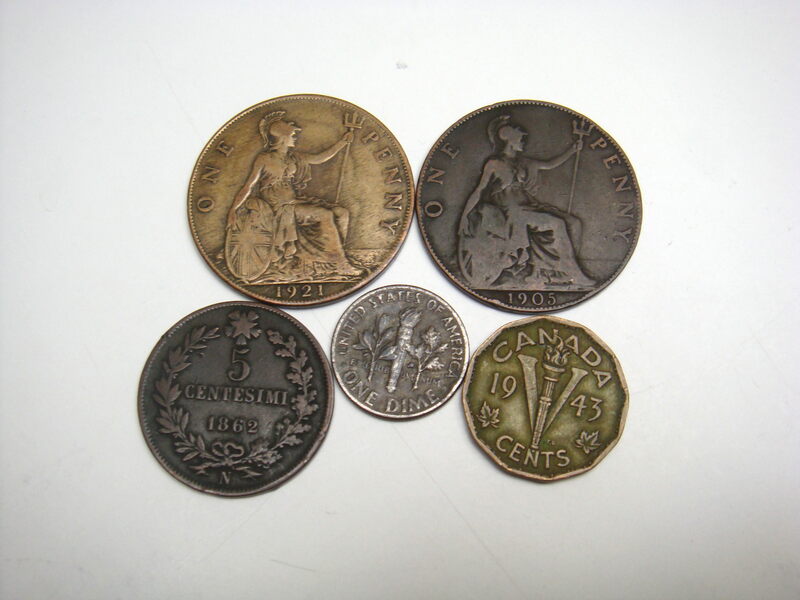 There’s a Canada 1943 wartime nickel, a 1973 American dime, a 1905 and 1921 British Penny, and an 1862 5 Centesimi from Italy. I had a good time last night during a walk in the Plateau but that story will have to wait until the next post! I’ve omitted a few of the links. This is because I avoid sharing any potentially personal information on the blog. -Antique sterling silver Shaeffer pen: on eBay for 108$. This didn’t take long to sell and fetched a nice price. Found in the Plateau in early August. 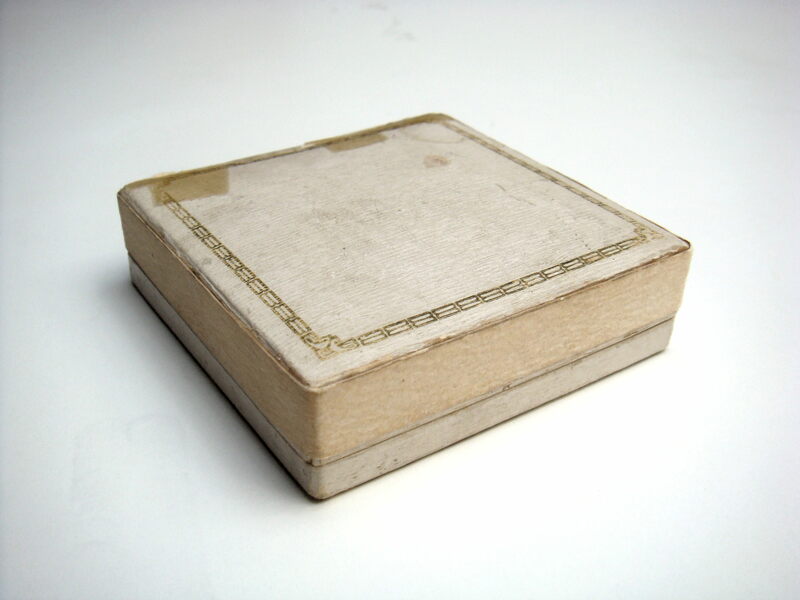 -Vintage metal box: to a friend for 2$. Total: 110$, 3196.50$ since May 18 (when I started counting). Not terrible but nothing inspiring either. Thanks to the flags though this week is already making up for it! The art I found in St Henri on Thursday inspired me to further explore one of Montreal’s oldest neighbourhoods. I had planned on going in the morning but instead I went last night, partly to avoid the rush hour traffic but also because I felt like sleeping in. It was a great trip. I discovered large parts of St Henri that I hadn’t seen before (or didn’t appreciate enough at the time). These parts were filled with beautiful old late 19th century brick row houses and the community in general had lots of character. Other parts of the neighbourhood, especially east of Atwater, were a bit more modern and were the home of several large apartment complexes. This area seemed to have a big issue with bed bugs: I saw close to ten mattresses while driving around, and in one case an entire apartment full of IKEA-style furniture had also been tossed to the curb. Not every thrown-out mattress is infested with bugs but I definitely wasn’t going to go out of my way to take a closer look! The run was pretty quiet before I stopped to check out some bags in front of an old house on historic rue St-Jacques. 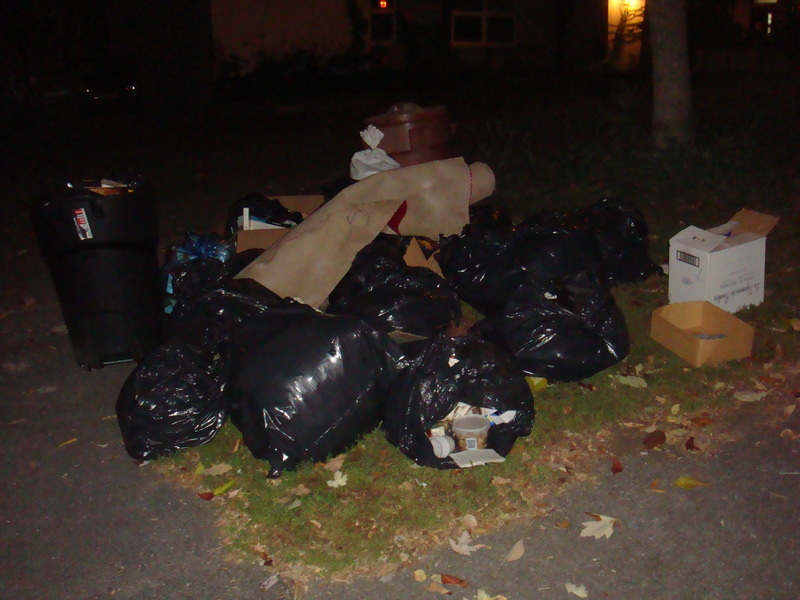 My interest was piqued by the number of bags – more than you’d expect for a week from one house. Inside was a collection of old art materials, from fountain pen nibs to crayons (vintage made in Canada!) to charcoal and pastels. There were also some tools, many of which I don’t know the purpose of, candles, a worn leather-bound bible, a painted folk art sea shell, a hand-made carved wood fish, an old Canadian military button, and a really amazing piece of WWI history. The real treasure was inside this old, somewhat stained Birks jewellery box. 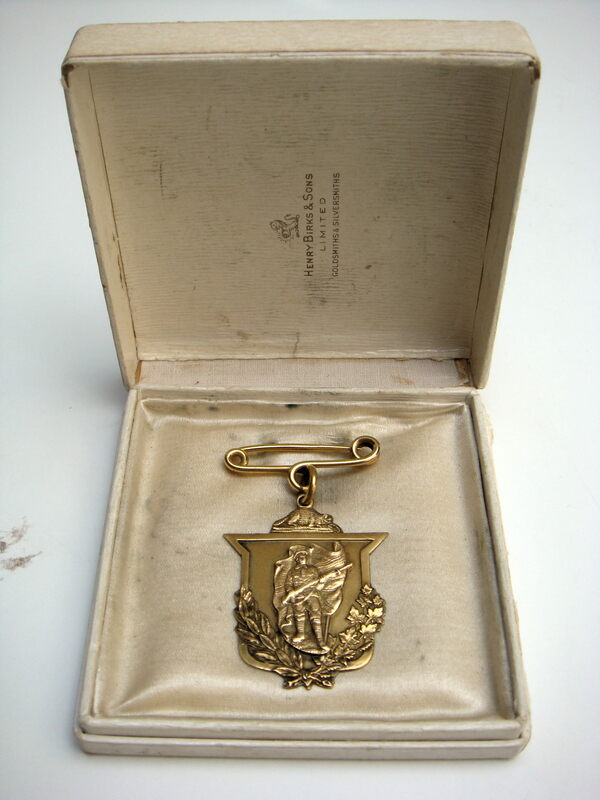 This 10 karat gold medal was given to every “Plumas boy” that fought in the Great War and returned home. 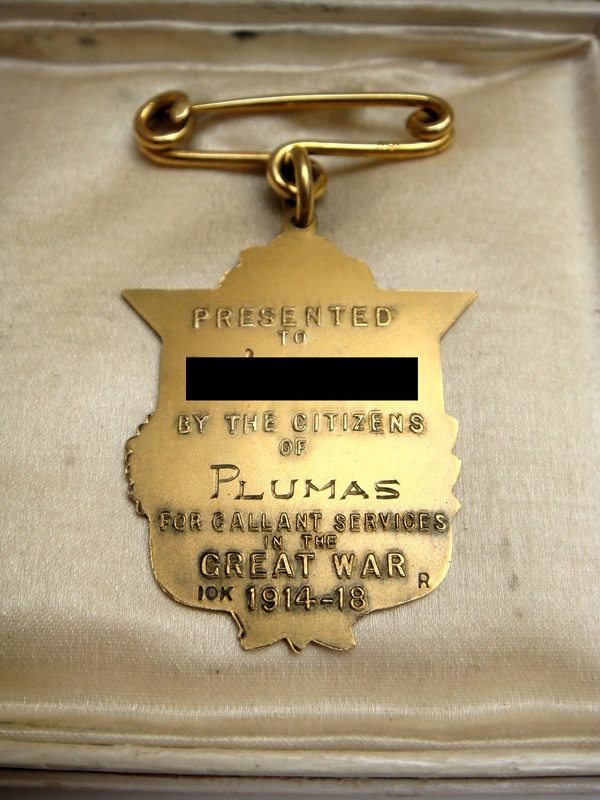 I had never heard of Plumas before and had to look it up – it’s a very small town (population 227 according to Wikipedia) in Manitoba not too far from Winnepeg and Portage la Prairie. 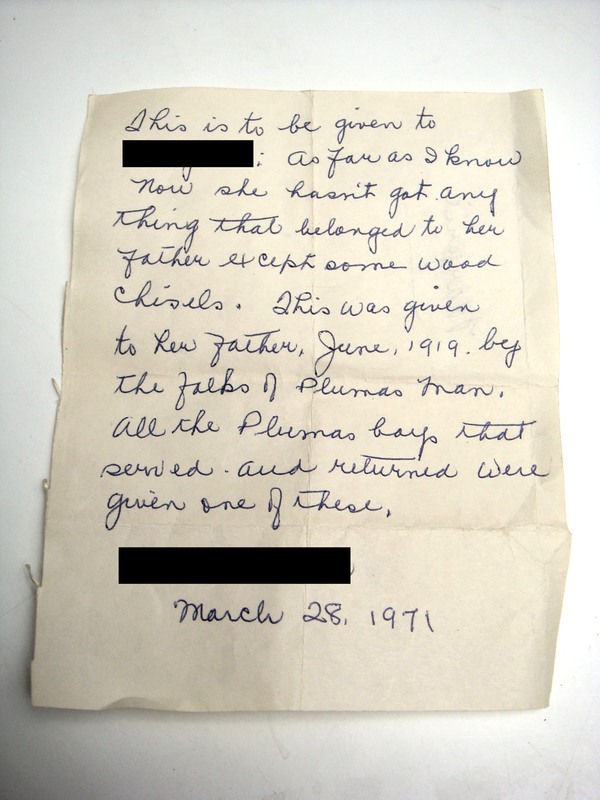 A note inside the box explained how it was given to this serviceman’s daughter as a keepsake, presumably after he passed on. It’s a really amazing piece that I have a hard time believing anyone would throw out. You’d think that seeing a 10k gold hallmark on an old medal would at least bring you to the pawn shop but hey, I guess that’s how I make a living! By gold weight alone this piece is worth close to 180$ (9.84g) but it’s obviously more valuable to sell it as it is. 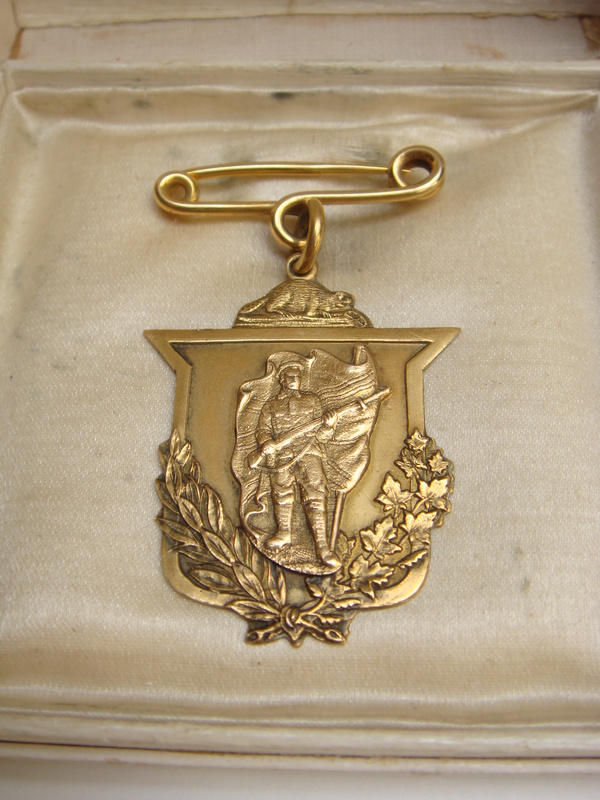 I could find only one similar medal (same design, different town) on eBay and it sold at auction for almost 200$ Canadian. I think though that a fixed price listing would garner an even better sale price. I’m on a bit of a hot streak right now. Let’s hope it keeps up! -Winston Churchill “Painting as a Pastime”: to a reader for 17$. I asked for 10 (with free shipping) but they just sent me 20. Thanks! Found in a Ville St Laurent recycling bin in mid-August. -Vintage gold-filled locket with “Suzanne” monograph: to a reader for 23.50$. A few different people asked about this piece but unfortunately only one Suzanne could have it. Found in Outremont around the end of August. Total: 40.50$, 3086.50$ since May 18. A poor week for sales. Without my readers I wouldn’t have sold a thing!